Hey guys! It's really hot recently, I'm sure Summer has come!! It's not the cherry blossom season anymore, but I'd like to share this video today. *本（ぼん）/bon/ This is so called "counters" in Japanese language. When we count long things (such as pens, trees, sticks) use 本. It's a little confusing because we pronounce it in three different ways (ほん/hon/ ぼん/bon/ぽん/pon/). It depends on the number. さくら/sakura/ becomes ざくら/zakura/ in a compound word. It changes because /zakura/ is easier to pronounce after /bon/. By the way in this video they're playing Japanese traditional instrumentals. Did you notice? 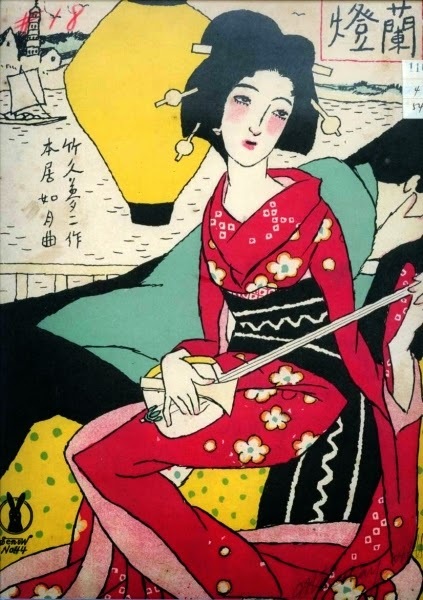 Japanese traditional music is considered as old, boring and sluggish, but there're some nice songs which arranged traditional music. Do you like it? 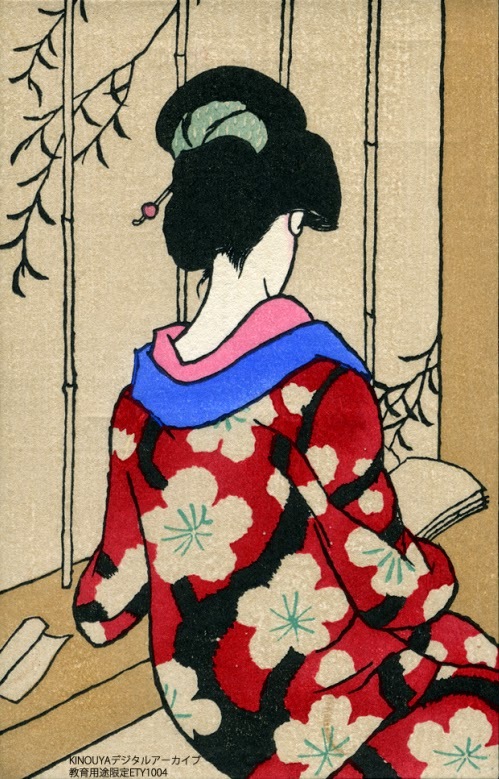 The vocal girl wears 着物（きもの）/kimono/. Can you see? I've introduced 振袖（ふりそで）/furisode/ before, which is also one kind of 着物. It's gorgeous, isn't it!! 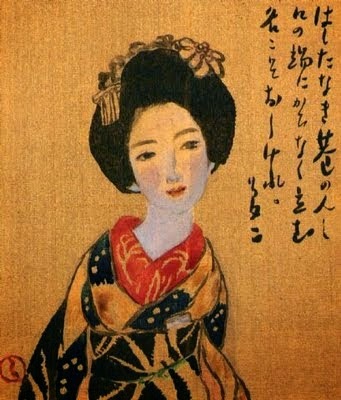 Recently I became a fan of 竹下夢二/Takeshita Yumeji/, who is a Japanese painter. Women he painted are very beautiful and fascinating. The Kanji character 美 has a meaning of "bauty". And 人 means "a person".